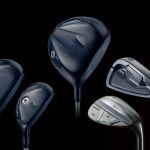 In this short article, I’m going to show you the number 1 cause of poor golf. 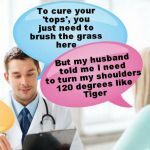 It’s the issue that EVERY golfer with a handicap suffers with, and one that all pro golfers have managed to master. I coach for a living, and have done for 12 years full-time. In many different countries. During that time, I have seen the same fault pop up consistently across the board, and across the World. Without doubt, amateur golfers are NOT doing this. Well, perhaps the low single figure/scratch golfers are much better at this skill, but even they can improve ground contact. 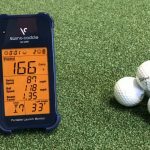 In fact, it’s so predictable that you can accurately gauge a player’s handicap based on their quality of turf strike alone. If you are striking the red zones, you are not going to be a good/consistent player. Hitting 3 inches behind created many unplayable shots (complete duffs). Out of the few which were did fly, they lost an average of 45 yards. 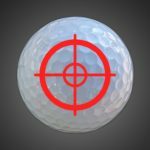 Not only this, but accuracy declined, distance consistency declined, and overall warm fuzzy feelings of hitting flushed shots which spin back to the pin were eliminated. The biggest problem I see for golfers is that many know that poor ground contact is their fault, but they have no idea how to fix it. 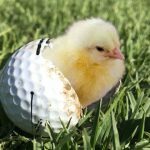 Most golfers are working on things which are completely unrelated to (or even detrimental to) their quality of strike. Does this look like your mental checklist? I’ll bet you still struggle with ground contact. 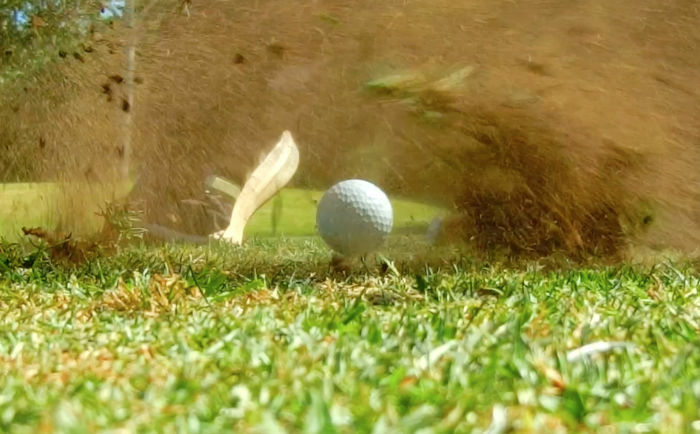 The quality of turf strike of a professional golfer is ridiculously good. We’re talking incredibly refined. 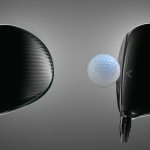 Ground strike controls the majority of distance and distance control with irons/hybrids/fairway woods. 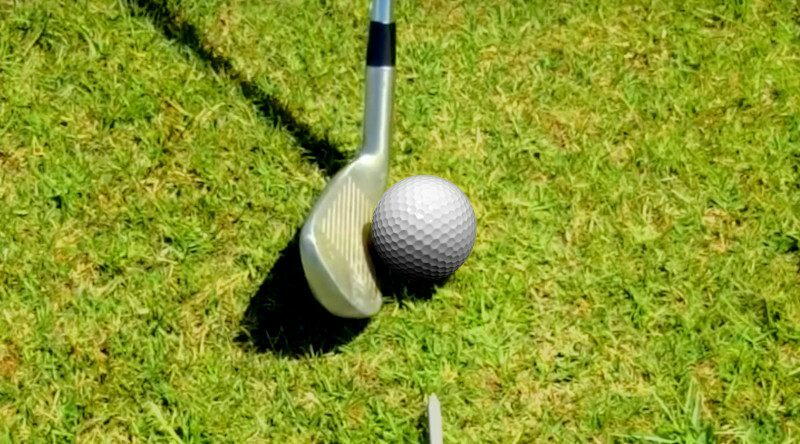 Distance control determines whether you hit a green or not. 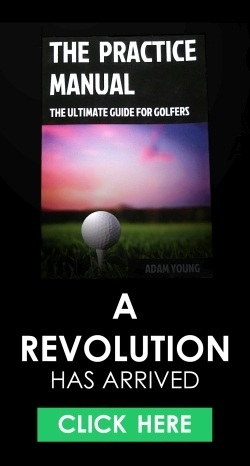 How many greens you hit in a round is the biggest correlator to handicap. 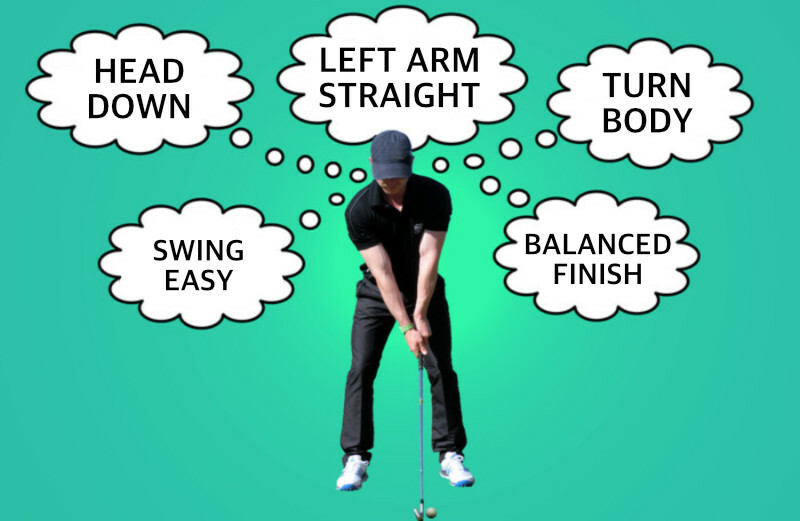 As a golf coach, I made it my mission to learn as much as I could about improving strike quality. I then put it into practice every day for over 12K hours worth of coaching and refined the processes and drills with my pupils. As a result, I learned how to get golfers to improve their strike quality not only beyond where they thought possible, but in rapid time. And, as the drills and concepts that I use to achieve this all fit in with the science of motor learning (external focuses, self-organizing theory), the improvements are long lasting. I put it all into a program called The Strike Plan. Click the image below to find out more about it.